On a recent work trip to Newport News, VA, I went in search of a meal at the end of my last full day there. This was trip number two to the area in as many weeks. All the nights previously I’d dined with colleagues at various spots located at the Peninsula Town Center close to the hotel. This time, however, I was on my own, and I was bound and determined to have an “authentic” experience. Before heading out, I told a friend on the phone that I wanted to eat at “some old crab shack by the water,” and NOT the famous Joe’s. My friend wished me luck as I hung up the phone to embark on my quest. Success! I simply Googled “Crab Shack Newport News, VA” and I found the perfect spot! I enjoyed a delicious meal of Snow Crab Legs and a baked potato on the side at The Crab Shack on the east end of the James River. Not only was the meal fantastic, but the sunset was perfectly suited for my Instagram obsession. Click, click, click. Another great place to try if you’re ever in the area is Smoke. I had BBQ lunch there twice. Delicious! After our stay in Manchester, we headed for Lancaster where our hosts put us up in the charming Sun Hotel, a traditional English pub and hotel with a history going all the way back to 1610. The Sun is located in the center of Lancaster, which is a vibrant university city with cobbled streets and stone houses filled with a wide array of shops, bars and restaurants. Allen and I were struck by the number of boutiques and specialty stores we saw featuring such high end brands as Barbour and Patagonia, and specialty items like binoculars, telescopes, bikes, model trains and fishing gear. With a population of about 46,000, Lancaster seemed rather small to us, but apparently it’s a constituent settlement of the wider City of Lancaster, which has a population of almost 135,000 and includes several outlying towns. On our first night in Lancaster, Derek and Yoke Sum took us to their beautiful home in nearby Garstang, and I was delighted to finally meet their lively and affectionate Lucinda Dog, a standard poodle, who I’ve heard tell about on countless occasions but never met. We walked to a neighborhood pub for a meal of fish and chips and other local fare. It turns out, dogs are allowed in pubs in England and Luci came along. She had some important business to tend to on the way, so Derek lead us through a wooden stile to a lush open field and Lucy did her thing, and got a little running in as well. Last week Native Offerings Farm sent out an email letting all csa members know that they harvested another bunch of greens from the greenhouse. We were all invited to go down to the farm on Saturday to pick up one final share. With visions of arugula, tatsoi, and vitamin greens dancing in our heads, Erika and I packed Aksel up and headed down to the town of Otto where the farm is situated in a long valley in Cattaraugus County. It was a gray, rainy day, but the drive was beautiful because all the new green growth of Spring glistened as it bathed in the light that filtered through the fog. Just a little hint of things to come on this delightful day of giving thanks for all that we have and stuffing our faces. 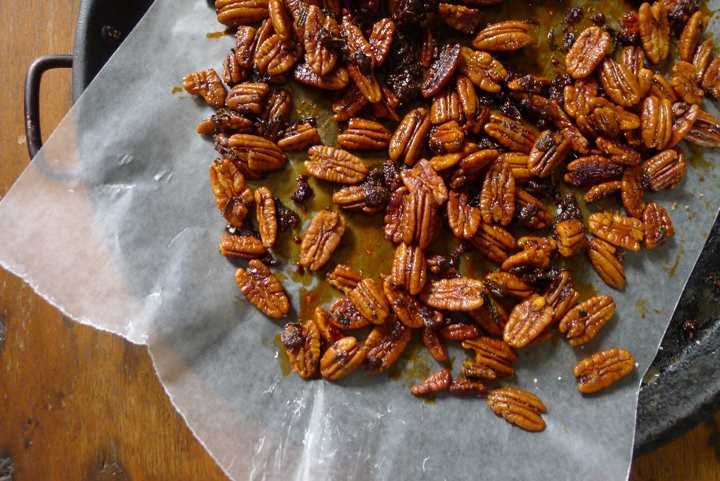 Delicious candied pecans… YUM! I had grand plans of returning from a recent photo workshop in Woodstock, NY with loads of glorious food adventures to share, but Hurricane Irene put a damper on that idea. In fact it’s been a long time since I’ve eaten as poorly as I did on this trip. It’s a shame too, considering all the quaint little restaurants and eating spots nestled in and around Woodstock which is located in the Hudson Valley at the foothills of the Catskills. Of course it’s not entirely Irene’s fault. With the business of photographing all day Friday in preparation for the workshop, a full day of class, more shooting and an evening lecture Saturday, it was difficult to plan for good eating even while knowing that a hurricane of historical proportions was about to hit that very night. By Sunday morning the power was out all over Woodstock. 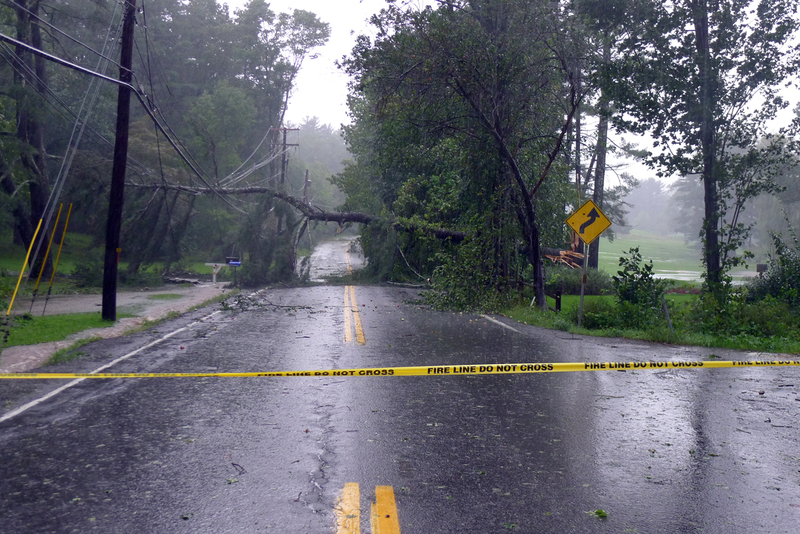 There were heavy downpours, high winds, trees and power lines down all over and flooding on the roads. The workshop was postponed until the following morning and finding (good) food near by was next to impossible. Fortunately I did manage to enjoy a wonderfull cup of coffee at Oriole9 Cafe on Friday morning before going out to shoot all day and on Saturday morning right before the first day of the workshop. I look forward to eating and sipping at this cafe every time I visit the area. And this is not your average cup of coffee! 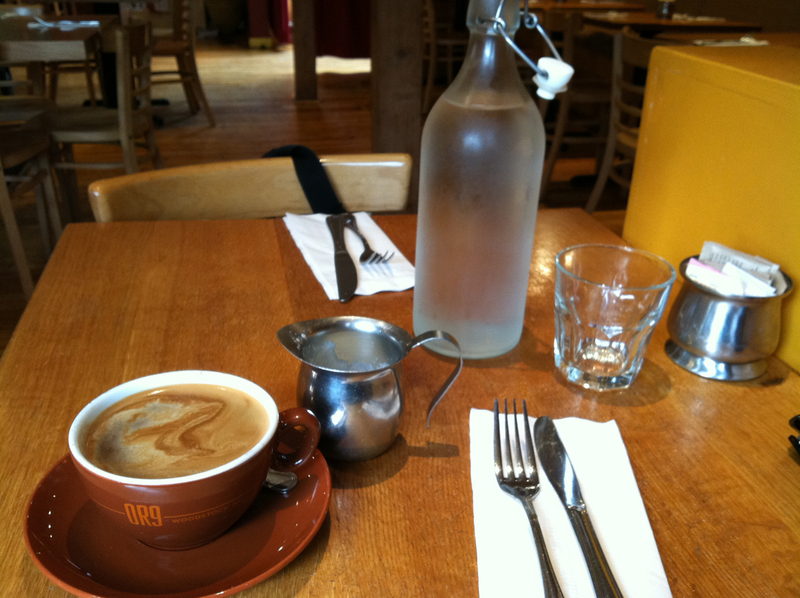 First of all, all of their coffee is organic, fair trade and rainforest alliance certified. And second, when you order a cup of coffee you will be pleasantly surprised to see that you’re not getting regular drip coffee. They bring out what must be an Americano which is prepared by adding hot water to espresso. Compared to other coffee brewing methods, espresso often has a thicker consistency, a higher concentration of suspended solids, and crema (foam). And if you don’t like it black, they’ll bring you a side of steamed milk. But don’t just go for the coffee. They have a wonderful menu as well. I was delighted to learn that they are in their second year of partnering with the Woodstock Day School in planning, planting and operating a farm on school grounds, which provides a live lab for students and fresh, organic vegetables for their restaurant. Definitely worth a visit if you’re ever in the area! I’ll be posting more about this trip on my other blog, Tender Ardour by and by.